SMI‘s team consists of highly trained and experienced technicians and design consultants. The SMI team members have been serving the area for many years and has built its reputation on quality workmanship, integrity in every job we perform, and a trusting relationship with each and every customer. Every one of our field technicians have no less than 5 years experience. 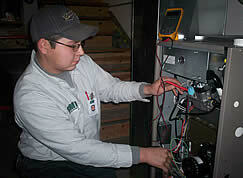 We have installers and service technicians with twenty-seven years experience or more. Our impressive team of employees have literally served thousands of homeowners and business owners in the Southeastern Wisconsin and Northern Illinois area. We don’t shy away from tough applications because our experience and contacts ensure we can get the job done right. If you would like some examples of completed projects, see below or feel free to contact us. Learn more about our offered products and services. Read testimonials and quotes from some of our current customers.